The Anatolian Shepherd Dog is a large-sized dog of the Mastiff type that originated in Turkey. Developed thousands of years ago by nomadic tribesmen to be protectors of livestock and property, Anatolian Shepherds are bold, courageous, and often known for their instinct to protect both people and animals. They require moderate maintenance (little grooming or training and moderate exercise), and are considered quite healthy. Overall, dogs of this breed are excellent livestock or property guardians; while they can also be good family pets, they will require a lot of socialization, and supervision around strangers (as the protective nature may come out). 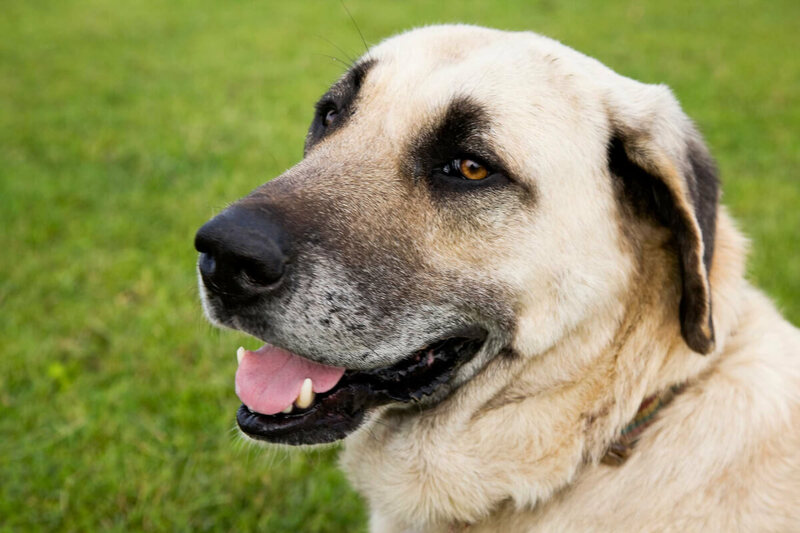 The Anatolian Shepherd Dog, a member of the Working Group of dog breeds, is native to Turkey--and livestock guardian breeds of this type have existed there for thousands of years. 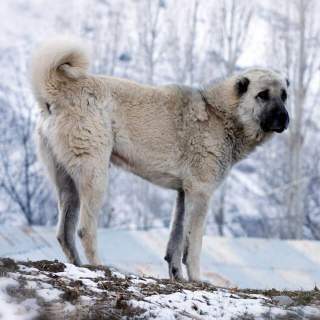 Anatolians have been developed to be fearsome, loyal protectors of flocks, family, and property, so they're excellent in most any kind of guard-dog capacity. If there were a college course called "Guardian Dogs 101," Anatolian Shepherds would likely dominate the lectures. 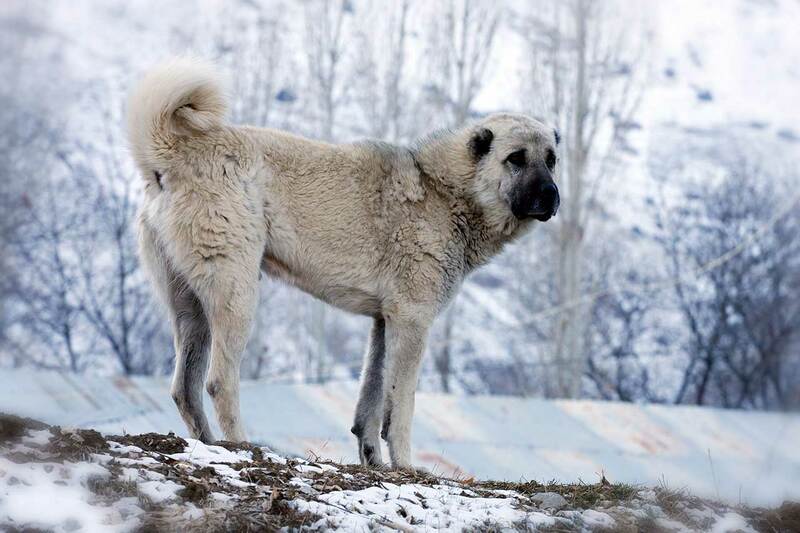 Dogs of this Mastiff type have been protecting livestock, property, and people for thousands of years--and Anatolians are very good at it. They're large and imposing, and their temperaments have been developed to make them instinctively fierce defenders of animals, humans, and homes alike. Through the centuries, Anatolian breeders have been wise about these dogs' evolution. For one thing, their coat colors have been created to match whatever livestock they're protecting, making them practically indistinguishable from their flock to any would-be assailants. And during their early development, many Anatolian Shepherd owners would simply quit feeding them once they matured--and as you can imagine, a hungry Anatolian Shepherd would be a vicious animal. With that sort of history, Anatolians are boldly protective of their immediate circle of people and animals; they will need a huge amount of socialization (preferably from puppyhood) in order to minimize that protective behavior around strangers. Dogs of this breed are athletic and strong--but surprisingly they don't require a ton of exercise to keep fit. An hour or so of daily physical activity should be enough. Owners should be mindful, though, of Anatolians' protective tendencies; encounters with strange people or animals during a daily walk might have disastrous consequences. 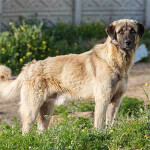 Anatolian Shepherd history begins in--you guessed it--Anatolia, a region in eastern Turkey. The earliest evidence of dogs of the Anatolian Shepherd type were depicted in carvings from Assyrian peoples dating back to 2,000 B.C. These dogs, long called Coban Kopegi (or "shepherds' dogs"), were shown guarding large herds of livestock on the rolling plains of the area. As the centuries progressed, the nomadic herdsmen selectively bred these dogs to develop a uniform size, aloof character, and cunning guardian skills. According to legend, the herdsmen would stop feeding the Anatolians once they reached maturity--which forced the dogs to develop independent, crafty hunting and guarding abilities. In modern times, the breed is celebrated in its native Turkey, and has even had a national postage stamp designed in its honor. The breed came to the U.S. in the mid-20th century, where it was used in assorted herding experiments--but the breed gained much notoriety starting in 1970, when U.S. Navy Lieutenant Robert Ballard returned from Turkey with a pair of Anatolian Shepherds. From these two dogs, Ballard bred a litter which served as the foundation stock for all Anatolians in the U.S. since. The breed entered the American Kennel Club's Miscellaneous group in 1996, but moved to the Working group two years later. Today, this breed is fairly rare around the world, but still serves its original purpose of livestock guardian in many countries. As of 2019, the Anatolian Shepherd ranks 84th out of 193 AKC-recognized breeds. 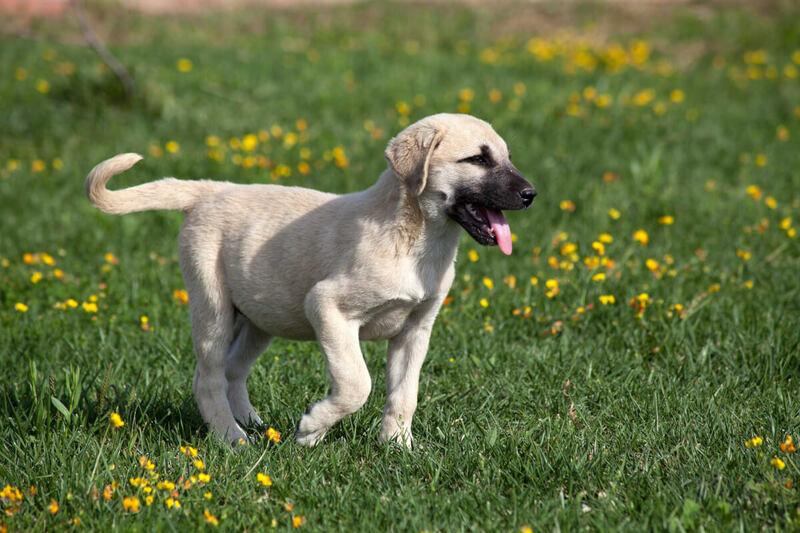 Anatolian Shepherd colors: these dogs come in a variety of mixed and solid colors. Breed members are often very similar in color to the livestock herds they guard, to make them indistinguishable to potential thieves or predators. 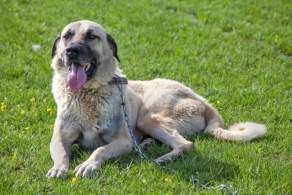 Brindle Anatolian Shepherd Dogs are common, as are Fawn and White, Red Fawn, and Blue Fawn. Others have Pinto (White with large areas of another color) coat patterns. Solid colors include Black, Fawn, Gray, White, and Liver. Some Anatolians also have facial masks of Black, Brown, White, or Silver. 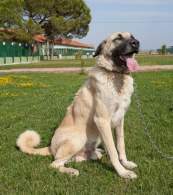 Anatolian Shepherd size: dogs of the breed are very large and rangy. 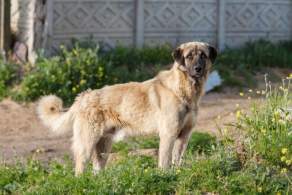 Size and weight for males is 28-30 inches at the shoulders, and 110-150 pounds; female Anatolian Shepherd size and weight is 26-28 inches and 80-120 pounds. 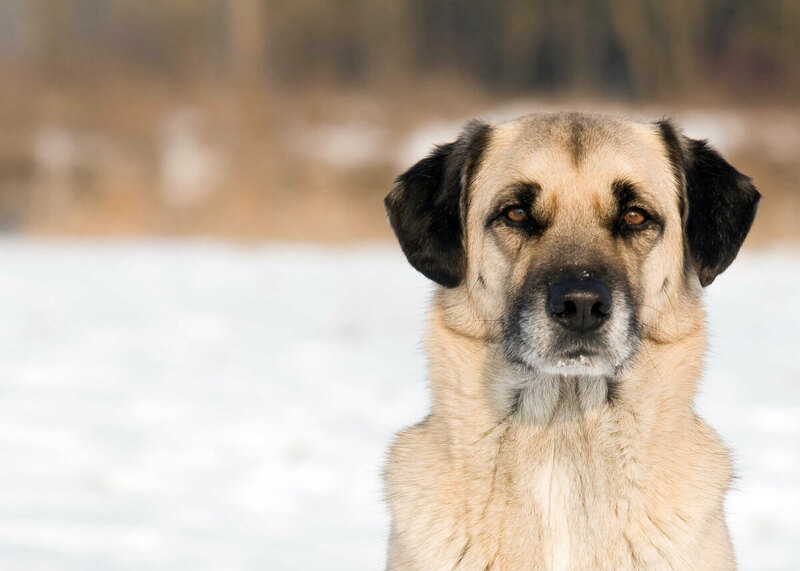 Anatolian Shepherd Dogs are consistent in size, averaging 28 inches in height and 115 pounds in weight; neither does there seem to be much variation in physical features like ear, nose, or leg length. A few dogs have variety in their coats, such as feathering on the legs, ears, and tail; a long-haired Anatolian Shepherd is possible, but quite rare. Bold, intelligent, confident, courageous, independent, and often aggressive, the typical Anatolian Shepherd Dog temperament is one of loyalty and power. Dogs of this breed have been developed to be fierce protectors of their "flocks," be it animals, humans, property--or any combination of the three. Anatolians are normally affectionate and friendly to their immediate group of people and animals, and suspicious of (and often defensive towards) everyone and everything else. 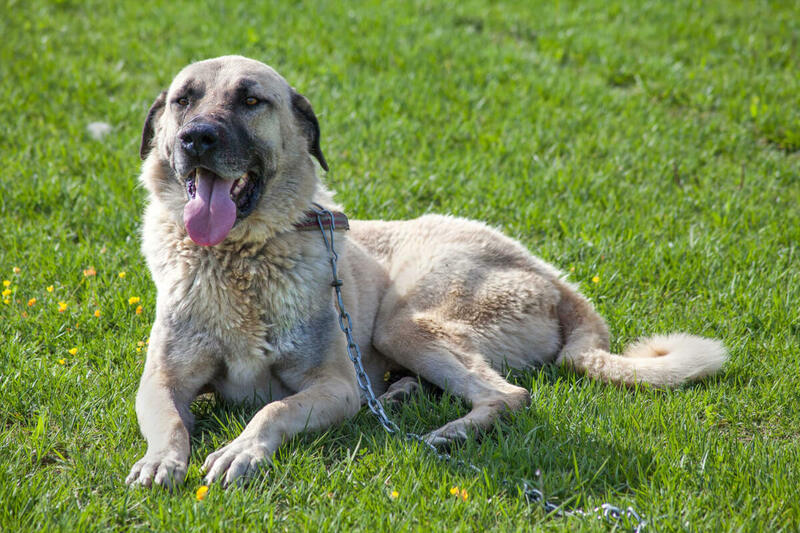 An Anatolian is far better behaved if it is raised with other pets and people from a young age, and is introduced to strange people along the way; these dogs absolutely must be socialized with others, and they will need very close supervision around strangers at all times. Some good news, though: the Anatolian Shepherd's personality makes it respond well to training. These dogs are very intelligent, and centuries of guarding livestock on their own, often in remote areas, gives them great ability to think for themselves. The flip side is that any trainer will definitely need to establish him- or herself as in complete control; firm, authoritative (but by no means harsh!) training methods work best for these dogs. 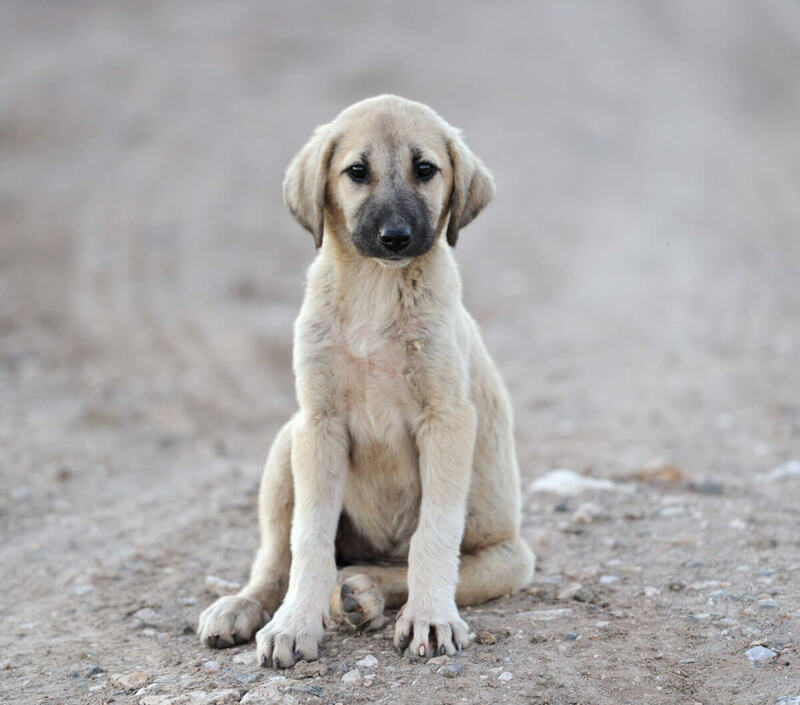 And it's probably easy to guess that Anatolians are one of the best watch- and guard dog breeds known! They have deep, booming barks, and will alert their owners--and likely defend--if confronted with a threat. 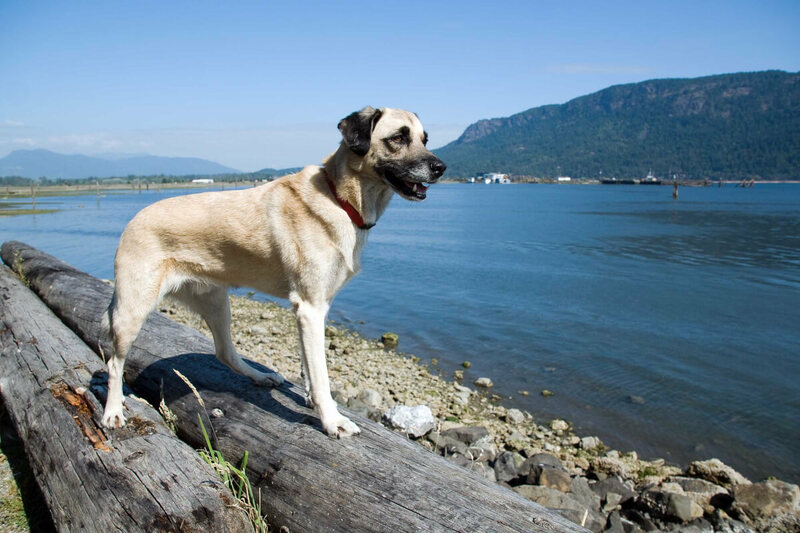 Below are pictures and images of the Anatolian Shepherd Dog. Anatolian Shepherd Dogs are normally quite healthy and hardy, but may be prone to a few health issues including hip and/or elbow dysplasia, mange, entropion, and hypothyroidism. Life expectancy for these dogs is 11-13 years.